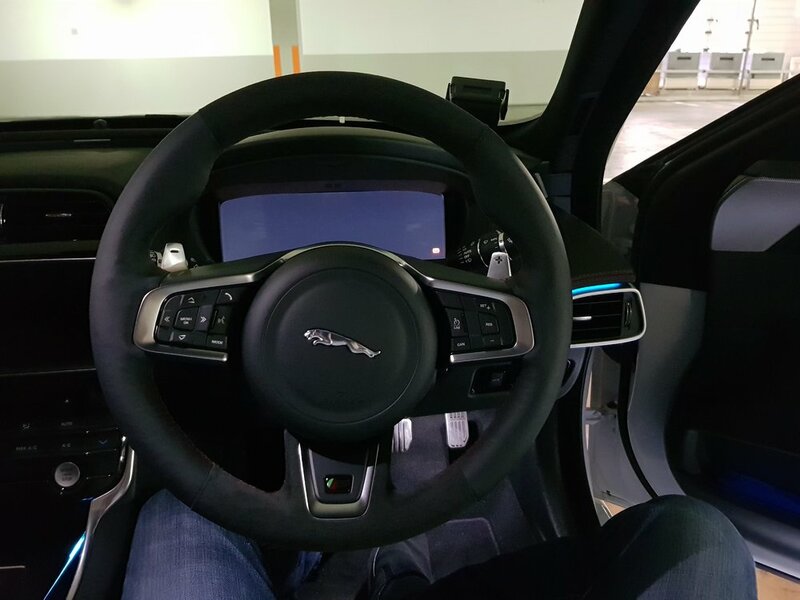 I've always found the stock steering wheel a little too thin, despite my smallish hands. 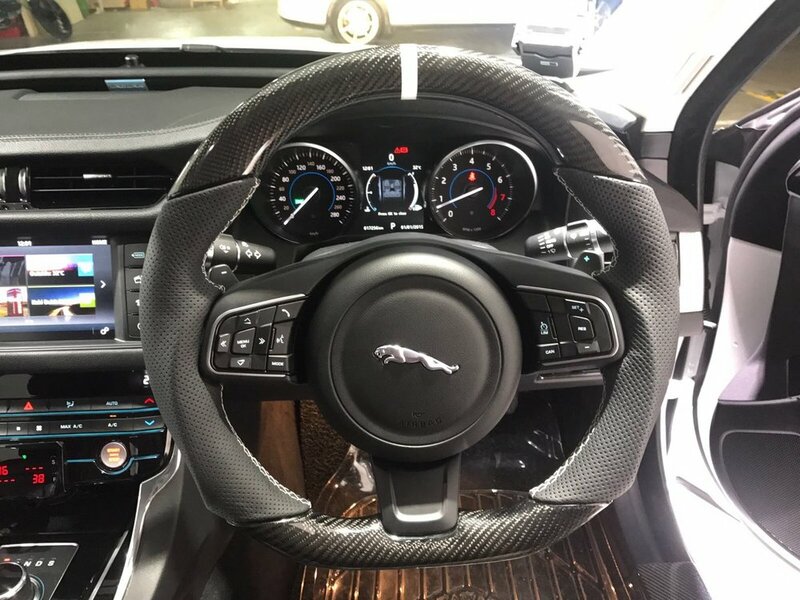 While I was looking around for alternatives, I stumbled upon carbon fibre steering wheel mods. I wasn't too pleased with the CF finishing, mainly because it was reflective and a tad too loud for my preference. I simply wanted a thicker wheel with more feel. The CF wheels are actually hard (rigid) to touch, unlike the stock ones which feel nice and soft. 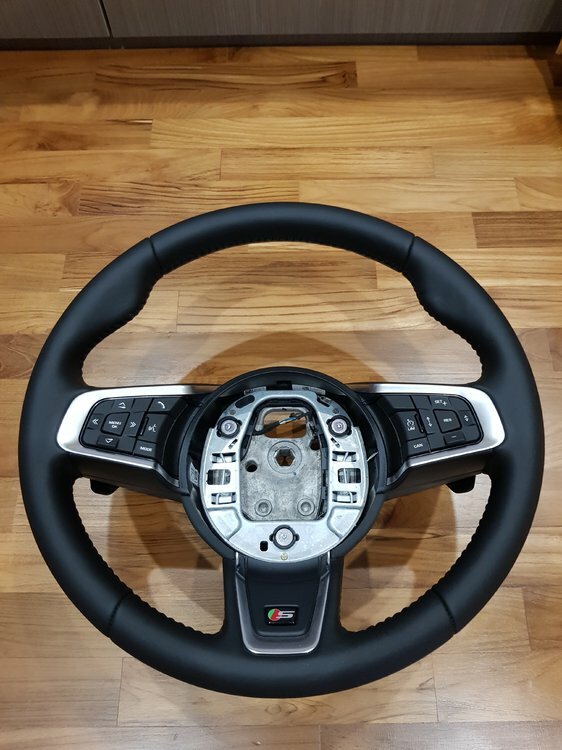 I found a shop that could do custom wheel mods, and asked if they could thicken the wheel and add alcantara onto the top and bottom regions. 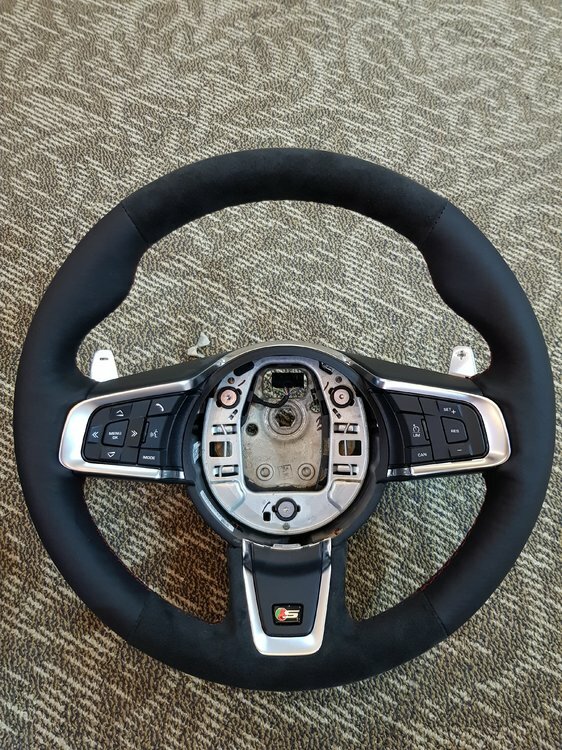 Not wanting any down time, I bought a brand new "S" steering wheel (first pic). This was incredibly difficult to find and I had to get one with the full suite of switches, paddles included. I fitted this onto my car and used it as the interim, then modified the original. The end product turned up quite nicely (2nd and 3rd pics). It was not as perfect as I would have liked, but it was good enough. There were some regions where you could see how they padded and folded etc. But seriously, it's nitpicking. How does it feel? Nice, thick and soft, though a tad firmer than stock but still extremely comfy. I also specified red stitching, so that matched the seats and dash. Almost did this, didn't want to in the end as CF is too reflective and the wheel feels hard. It's all a matter of preference. Hi, may i know how much did u do for this? And where? Robson? yes, Robson. $1000 plus. Price abit steep.